The definitive guide to healthy digestion! 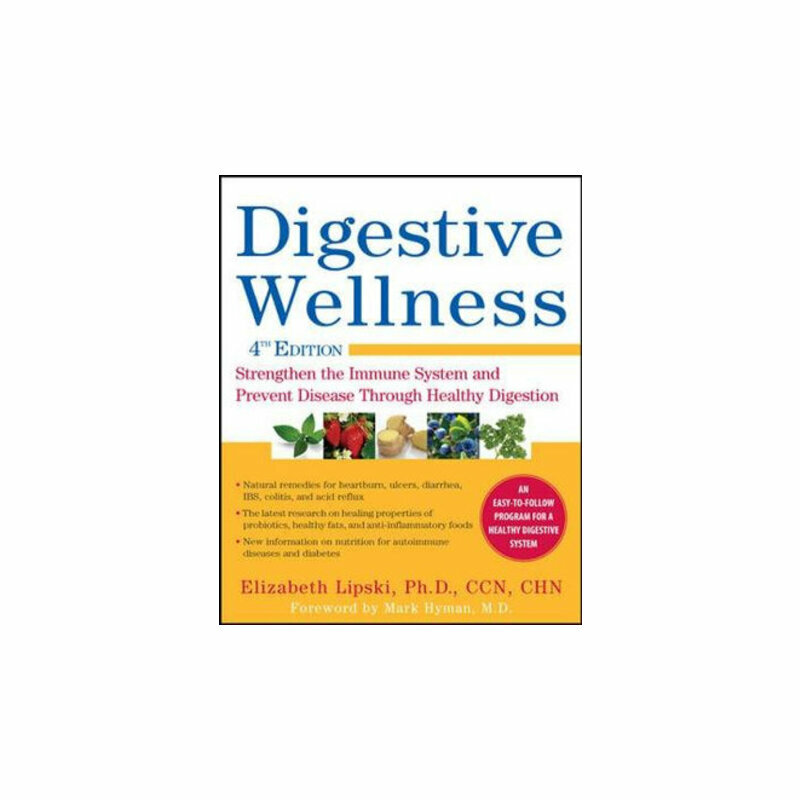 Digestive Wellness explains how your digestive system works and what to do when it doesn’t. You’ll find practical solutions to all the common gastrointestinal disorders (and many other conditions) and expert guidance on the newest advances in testing and diagnosis, nutrition, and natural therapies. Plus, you’ll learn how faulty digestion can affect the human body systemically, from migraines and skin issues to fibromyalgia and chronic fatigue syndrome. Elizabeth Lipski, Ph.D., CCN, CHN, is a clinical nutritionist. She's the Director of Doctoral Studies at Hawthorn University and on faculty at Saybrook University, the Institute for Functional Medicine, and teaches for the Autism Research Institute.